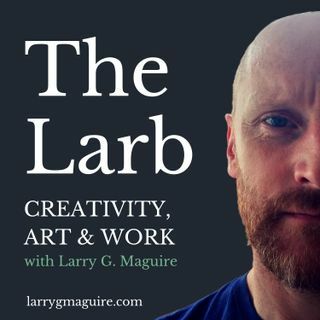 The Larb Podcast is for artists and creative thinkers from writer Larry G. Maguire. Listen to philosophical musings and discussion on art, creativity, life and work going out weekly (and sometimes a bit more) on all major podcast platforms. Topics can be divisive and a challenge to popular opinion at times, so if you have sensitive little earballs or rigid ideas then probably best to steer clear. Subscribe, play, enjoy and share this bad boy!